We've already pretty well established that Infamous: Second Son is a really nice-looking game. Wouldn't it be cool if we had an easy way to freeze the game in action and really drink in all those shiny graphics? Thanks to today's free update for the game, we have an opportunity to do just that. It's called "Photo Mode," and it was a surprise addition to today's update, which also brings with it the ability for players to toggle the HUD on and off and, provided they've finished the story, to manually change the time of day. Those options are plenty nice, but photo mode is by far the coolest part of the update. I've been messing around with it for the last hour or so, and am impressed by just how enjoyable it is to flit around, climbing buildings and getting into fights, all in pursuit of the sharpest-looking photo possible. Photo mode's integration into the game is slick. You'll have to go into the options menu and toggle it on the first time you start the game after downloading the update, but after you do that, you can simply click the left thumbstick to enter photo mode - that'll freeze time, remove all HUD elements, and let you go to town. You can tweak other stuff as well, like adding Instagram-like visual filters and dropping your virtual camera's f-stop way down in order to get arty, close-up shots. I've had mixed results with the depth of field stuff, and found that a lot of the game's visual effects (explosions, particles, etc) don't go out of focus all that smoothly. But for the most part, I've been impressed by how easy it is to take great screenshots. Unexpectedly, however, the screenshots aren't actually the coolest part. The coolest thing about photo mode is simply that we now have the ability to pause this beautiful game and swoop around a time-stopped action sequence in 360 degrees, taking in just how many tiny details are popping off at once. If you're having friends over to show off your new PS4, Second Son's photo mode will almost certainly earn you some oohs and aahs. Based on the results I've been able to get with just a little bit of time messing around with photo mode, I'm now really looking forward to seeing what dedicated in-game photographers can come up with. And while for now, we'll have to content ourselves with using the compressed screenshots that Sony's existing share options allow (tips on how best to share those here), the PS4's coming HDCP-removal patch will make it possible for those with external capture boxes to easily stage their own full 1080p freeze-frames. I'm a big fan of this kind of bonus stuff, and hope that other game developers follow Sucker Punch's example and add things like this to their own games. 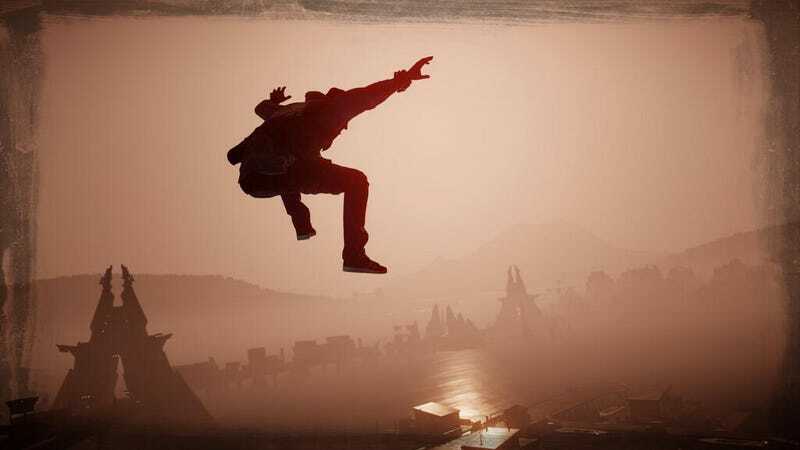 And hey, if you're an early updater and have been messing around with photo mode yourself, I hope you'll share your best shots in the comments below.